Take your creative ideas further. New York's premier creative studio for traditional photography, green screen videography, and commercial production. Our 13,000 sqft space includes multiple shoot rooms for both photography and video, equipment, lighting, production space, green screen rooms along with editing suites and kitchen facilities. 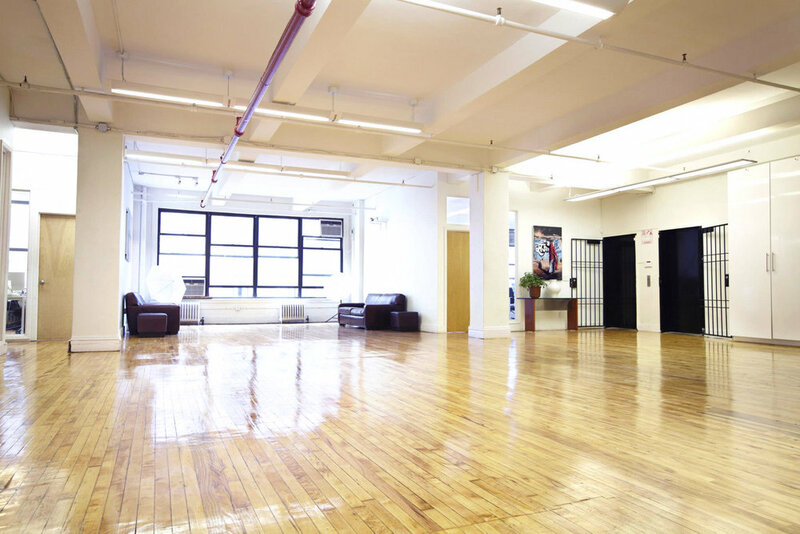 Space is commonly used for commercial shoots, castings, events, film screenings and audience accommodations. As a full service production house, we specialize in shooting both commercial and creative video. Recent projects range from pharmaceutical commercials, tech startup videos, to fashion products and long form reality TV. We are proud to have created compelling and high-quality video content for corporate, commercial, entertainment, fashion, and non-profit organizations. Our team of highly skilled designers and producers can make your ideas become a reality. We specialize in the conceptualization, design, and deployment of innovative, cross-platform branded content for clients large and small. With experienced copywriters, directors, and producers we can help you conceptualize your ideas and get your project moving in the right direction.